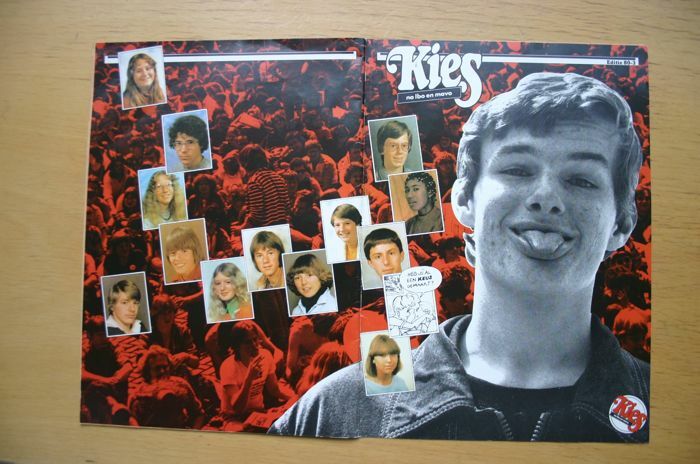 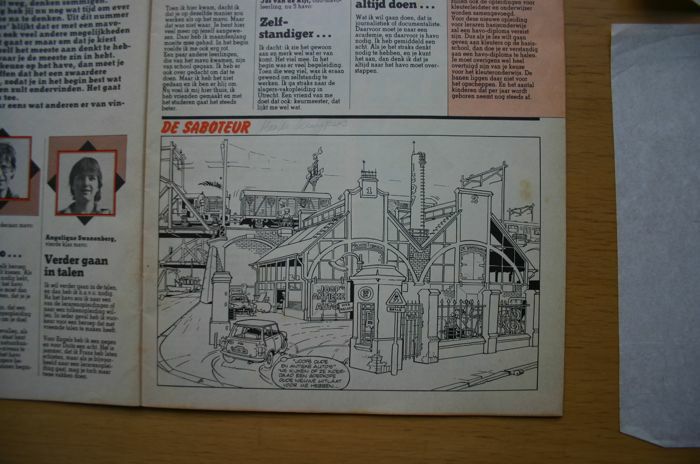 In this, by now very rare, magazine ‘Kies’ was the first version of my strip ‘DE SABOTEUR’. 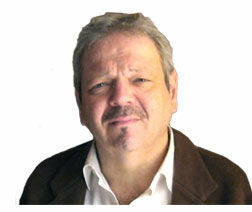 Link with the subject "choice of profession" was not much more than "12 crafts, 13 failures" by the apparent clumsy Hendrik Ido Ambacht. 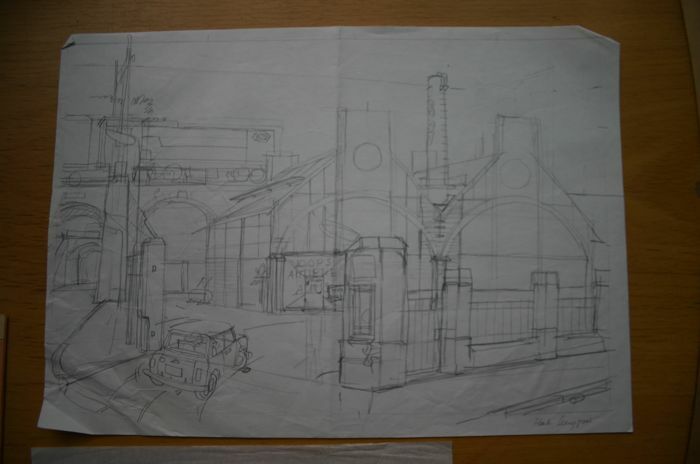 That story opens with a stunning total of an old garage, located at the railway embankment and located in an even older machine factory. 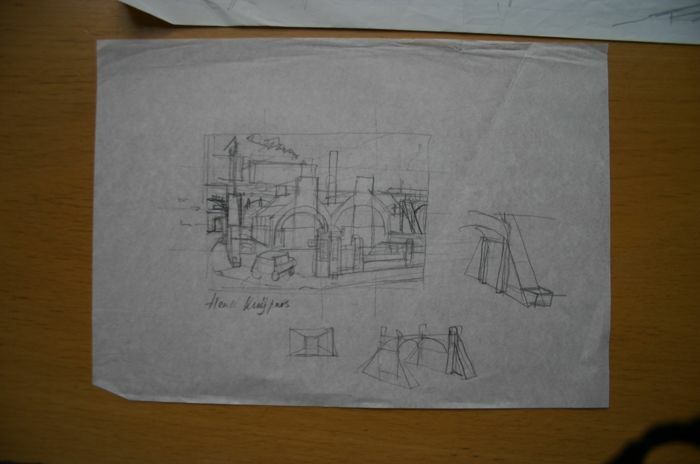 Of that decor here the design and the first sketch! 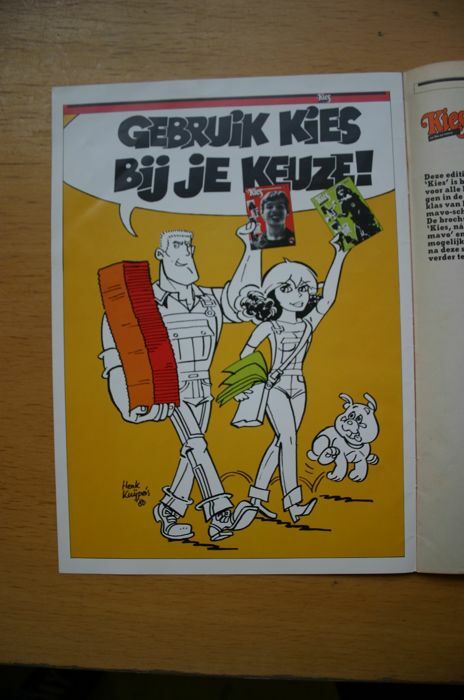 Also there is a poster in ‘Kies’ in which Franka and Hendrik Ido, exceptionally harmonious sell stacks of ‘Kies’ magazines.